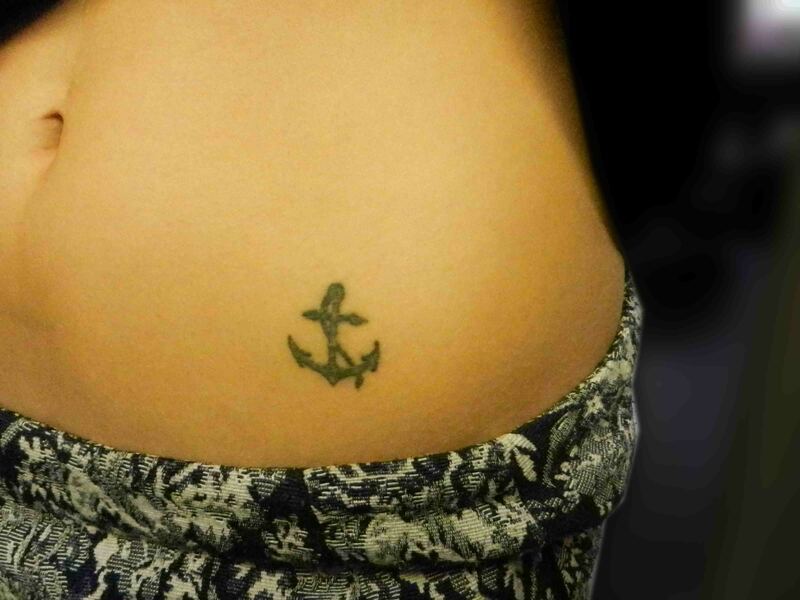 This is the tattoo that we have been asked to cover up. 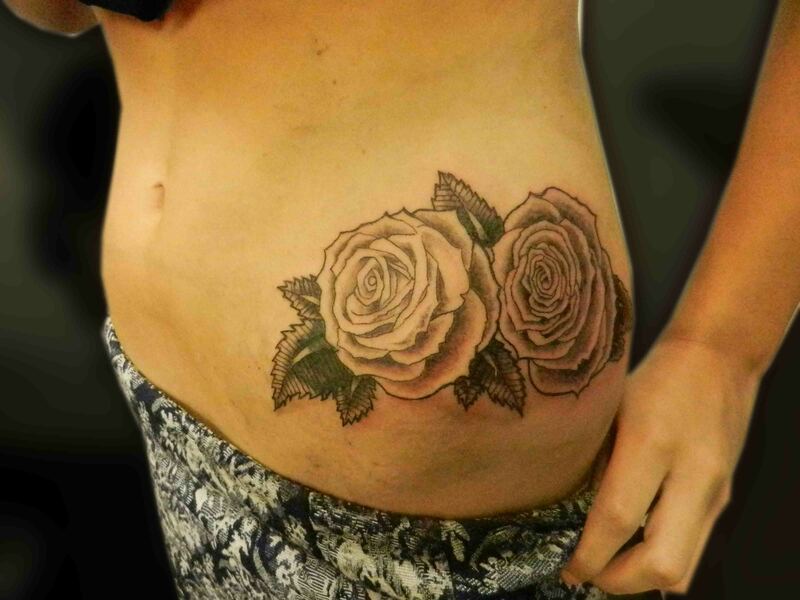 Whilst it is an ideal candidate for laser removal the customer’s preferred tattoo was for a black and grey shaded roses. 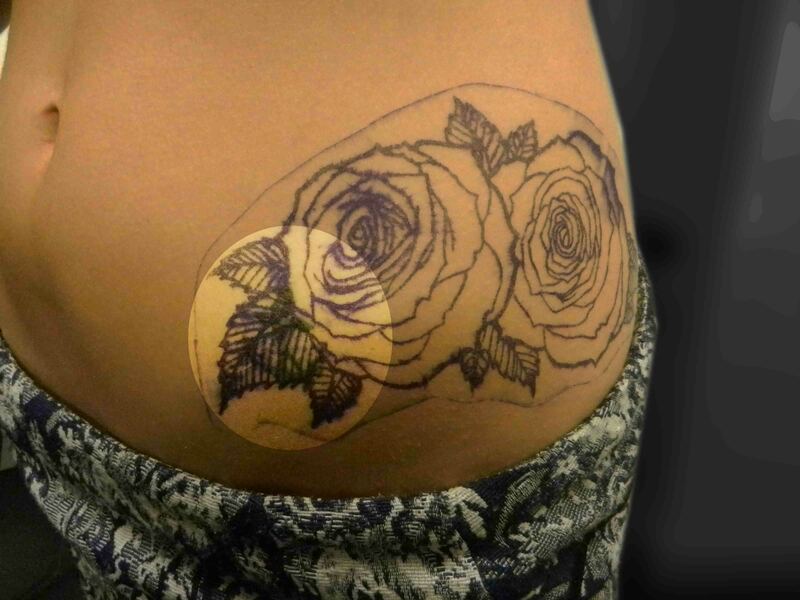 Once the design was finalised the stencil is placed over the tattoo, because the leaves require more shading than the rose they are placed over the anchor. A pleasing end result. Remember that a cover-up will not get rid of the first tattoo completely, the aim is to distract the eye.